They weren't fooling around with the Christmas cartridge releases this year, either. They released 5 different mini cartridges (Christmas Cards, Christmas Village, Trim the Tree, Winter Lace, Gingerbread), not to mention Winter Frolic. 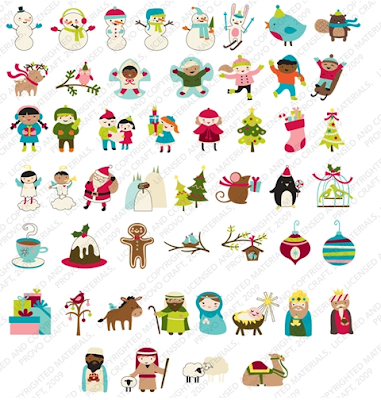 1) Christmas Cards Seasonal Mini Cartridge: This card is good for not only Christmas cards, but also has loads of card bases you could make for any types of cards. 2) Christmas Winter Lace Cartridge: More snowflakes make this cartridge so fun! 3) Winter Frolic Cartridge: The word art on this cartridge is phenomenal! Also, love the sweet bird in the Christmas tree. 4) Jolly Holidays Lite Cartridge: Love the word art and more unusual Santas and images on this cartridge! 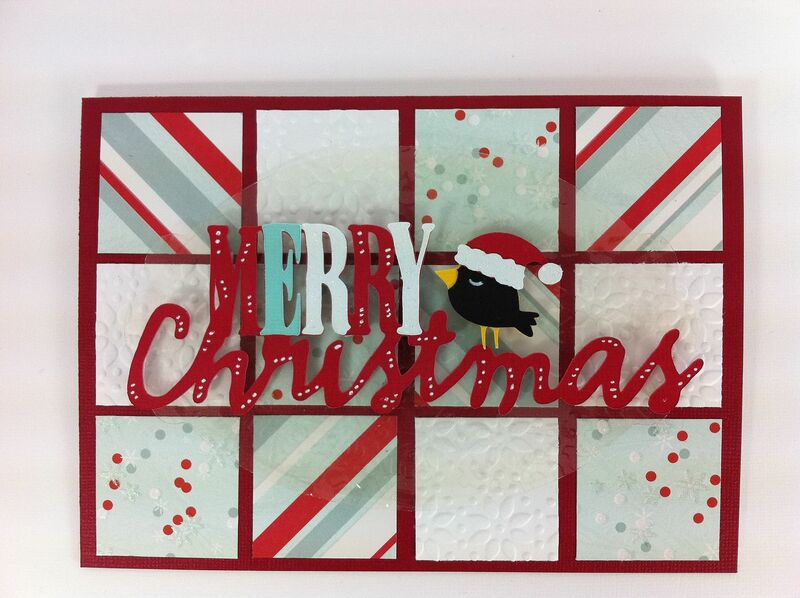 Melanie has made MANY gorgeous cards with Jolly Holidays cartridge - check them out here! 5) Gingerbread: This quick and easy cartridge has such cheerful Christmas images - love the candy cane here! What's your favorite Christmas cartridge from this past year? I have all of these as well... and Winter Frolic is most definately the clear winner here! (Although Jolly Holidays is a must have too!!) Can't wait to see the next award! Christmas Cards Seasonal Mini because of other uses for the base cards. I love Winter Frolic. I need to buy it! Wow! this one surprises me. I just got Winter Frolic but wasn't too happy with me. I guess I need to revisit it. Love Jolly Holidays! I really like the Winter Frolic but love the Jolly Holidays lite cart. I tried to buy the Jolly Holidays several times but they were out of stock. Well maybe it will go on sale when I'm ready to purchase in the future. Love the card you made with this cart with the black bird on it. One of my all time favorites! I have the Winter Frolic and I definitely love it!! Is so cute and kinda romantic with all the love birds!! TFS!! Take Care!! I have only Christmas Cheer for holiday carts. I have used it a lot but certainly would like more. Always want more. My cartridge collection is limited at this time. Thanks for your review - it's helpful for those of us like me who have not branched out as much as others. I'm "holiday green" with envy for those who seem to have lots and lots of cartridges. Thanks again. Really cute cards. PS: do you ever do scrapbook layouts? I'm getting into scrapbooking more and more and would appreciate some ideas for use of carts in layouts. Thanks so much. Looking forward to integrating/using my circuit for next years Christmas cards! These cartridges all look great! Awww, this post is making me miss Christmas already! I love Jolly Holidays but cant seem to find it. boo hoo!! I can't agree more with this award! What about Joys Of The Season? I thought it was a pretty good cartridge too. yet another one that I dont have yet and have admired..... hmmmmm I think I need to buy this one too!! Joy, I have to agree (I have with all of your best of posts so far!). Even though the title is Winter Frolic, it has the best Christmas images and word art of any of the cartridges (and that is saying alot because so many are good). 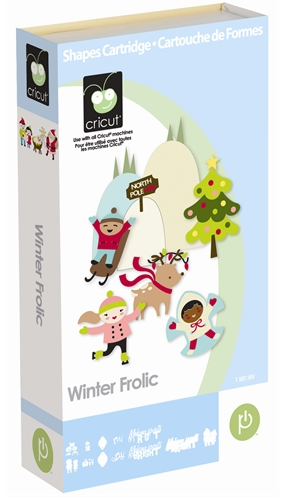 At first I wasn't sure Winter Frolic was one I was going to get, but the more projects I see with this cartridge, the more I realize I just have to have it! By the way, I am fairly new to using my Cricut, but I wanted to say thank you for doing this "Best of" series. It has given me an eye opener into some of the cartridges that I haven't seen or thought I "needed." Have a great new year! I agree...Jolly Holidays is a close second. I love them all and Winter Frolic is at the top of the list, gotta have it. Yes Winter Frolic is my choice by far but I also like Gingerbread, such nice clean images makes great quick cards for Operation Write Home! Love Winter Frolic. Such cute images! Cute cute LOs and cards! Love these carts and your winner is great! My favorite is Winter Lace, but I also love Winter Frolic. So many great choices. Thanks for sharing your talent! I have all of these carts also. I love them all, but my favorite is the Cristmas Cards Seasonal. Probably because the card shapes are so unique. I liked all of the other carts too. I will tell you thou that my least favorite was the Gingerbread Cart. Winter Frolic was a good choice because it has such a selection of images on it. Thanks for bringing us so many wonderful inspiring creations throught 2010. Looking forward to another wonderful crafting year in 2011. Happy Holidays to you Joy and to your family. I don't have any of these carts but I definitely want to get the winter cartridge. It has such a wide variety of winter characters. I wasn't sure I would use the Gingerbread cartridge, but it was cheaper to buy all 3 of the mini cartridges (that were realeased together) as a bundle so I got it. I ended up using it the most for the tree my son and I made. I love Winter Frolic too. I don't have any of these but I definitely want the winter frolic cartridge. It has such a wide variety of figures. I just ordered winter frolic because of the many ideas you guys have given me. can't wait to get it.